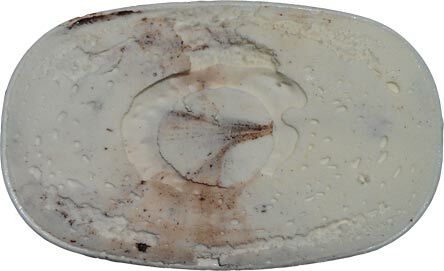 Alright, back to Donelan's to get my hands on Dean's ice cream. Ok what says "new"... hmmm, nope, I already tried the red velvet. Ahh, here's something. 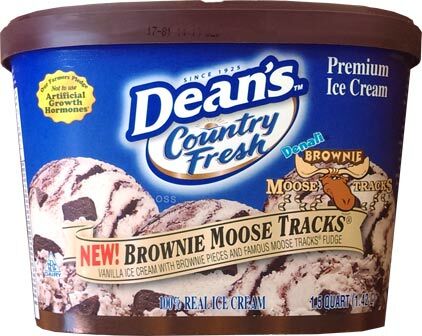 Ok, technically I'm not sure how this is "new", I thought brownies and moose tracks was kind of an old thing... searching, searching, yeah, not sure the concept is new. I wonder why this is called brownie moose tracks instead of Bear Foot Brownie like I had several years ago (NOTE: Nick says bear foot fudge is a bit different then moose tracks fudge, despite coming from the same company). Oh well, it still says new and I don't have a lot of options for Dean's, so let's grab it and dig in. I'm getting that same, somewhat gritty texture that I got with the other container, though I don't know if that has to do with the journey that these things go through to get to my local grocery store. Ok, I just cheated and shoved 4 brownie bits in my mouth and savored them for a few minutes. 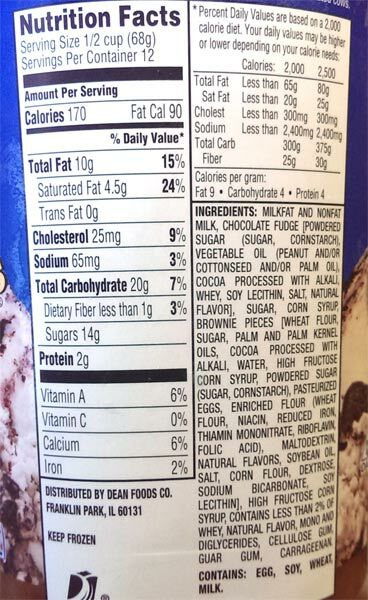 Not a super strong flavor, and one could argue that these are dense cake bites more than brownie bites, but they aren't bad. The bites definitely popped better in the red velvet flavor, there was just something about the cream cheese frosting that brought them to life more. On Second Scoop: I have to admit, this one grows on you. 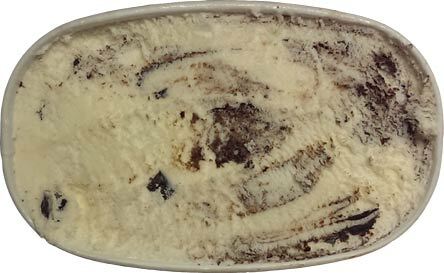 The flavor complexity of the thick, gritty fudge swirl is invasive and keeps you scooping for more. 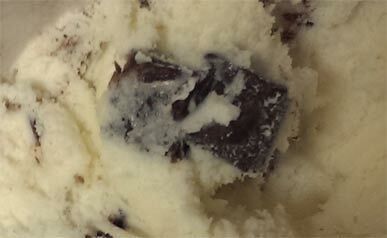 Combine that with a pleasant amount of brownie cubes and you've got yourself a nice afternoon treat. I just finished a double serving and I'm totally ready for some more (but I wont.... but I want to... but I won't!). You know, I think i need to make a milkshake with this stuff.